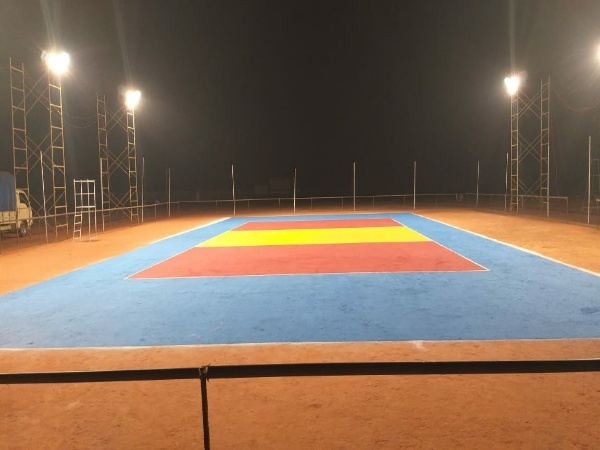 Very happy to hear about the State level volley ball tournament for the first time in our place under the leadership of our parish priest Rev. Fr. Clement Mascarenhas anRev.Fr. Lawrence Cutinho. I wish every success. John Tauro, whose travelogue photo coverage, hosted by Bellevision, I have tracked for the past few years and commented on, has matured by the years, as vintage wine, and the progressive improvement sets new standards of excellence. Apart from his visual coverage taking a northward curve, even his descriptive word coverage is now crisp, focussed and highly readable. His top of the world Swiss mountain experience at 3571 m. brings his selective coverage to one’s computer screen and satiates the travel aspirations of the likes of me whose age and bank balance would deprive the pleasure of on-site enjoyment and enlightenment. One of your reader responses is apt: “Without Visa, air ticket and without spending anything, I went, visited and enjoyed many of the unique places of Switzerland”. There is a method in Tauro’s photography and also in Bellevision’s editorial selection of his massive coverage. One thing alert readers will observe that there are more parked cars and cows (and bulls?) in his published frames than local men and dames. For Indian’s jostled in public spaces, the Swiss trip could have been a great bonus. The founder of this club was my grand father Mr Kashmir Mathias. It is very sad to know that , no one has informed us about this . His five daughters still alive. One is in kanjoormarg itself . Felt really very bad. Heartfelt condolences to all family members. May her soul rest in peace. I am deeply saddened by the demise of dear Modorn (Godmother). I pray that God will grant you all the strength to overcome this loss. My heartfelt condolences to you all. May her soul rest in peace. Dear Mendonca Family, Pl accept our Heartfelt condolences on the sad demise of your beloved Mother. May her soul Rest In Peace. Will Pray to Almighty to give you all strength to bear the great loss of your beloved Mother. Richard and Family. Wishing all the best and all success to the tournament. It is matter of great pride for Belle Parish and village organizing sport event of of such a magnitude. Congratulations to all behind this great event. Wishing all the best!! Congratulation on completing 100 years by the club. Happy to see everyone together. Let the Bond of love and unity get stronger for hundred more years. God Bless You All. Your South Africa tour written very good informative .photos are excellent.wish you good luck keep on traveling.veenaworld arranged it very good with good staffs. Your African tour photos are very good. Keep on traveling and let us enjoy reading your experience in traveling.well done tauro. Mind blowing article on Alva s genealogy! Extremely happy to know history of Alva s of centuries. Thanks to Dr. Eugene for this wonderful article. Wonderful compilation bt Dr. Eugene. Congratulations to all making this celebration happen. Certainly this club has helped thousands of people from and around Belle to shape their career and future. It was a stepping stone for many successful entrepreneurs too. Extremely happy to read history of this club. Awaiting eagerly to read about the celebrations shortly. Dr. Eugene takes us through the 100 years of history of Vhoddlem Kood at Pinto House, Byculla. Though I am not a member, because I organized a small residence on my own at far away Kanjurmarg, I used to visit to meet its residents. MY eldest brother Anthony D Souza, was a resident member who as Joint Secretary is seen in the photo of Golden Jubilee Celebrations. In 1996, I converted his membership to life and enrolled our brother Albert as a life member too, in order to assure membership to their sons. MY father Bauthu Mudartha of Kurudai and three of my uncles from Dinndottu were also members. In 1976, I surveyed all Mangalorean Resident Clubs in Mumbai for a feature article published by Cha. Fra in his Udev. I met Presidents of all three Clubs of Belle including the Krla one where by second brother Ladru was a member. In those days, the Pangla Club (Mutri Kood) was second among membership behind Vhoddlem Kood. Please accept my congratulations on the occasion of its Centenary Celebrations. As I am out of town, I could not attend the event, though invited as a guest. Heartfelt condolences to all family members. May his soul rest in peace. Please accept our heartfelt condolences on the sad demise of your beloved Dad. May God give you strength to bear this loss. May his departed soul rest In Peace. Absolutely gorgeous build and landscaping in the middle of a city like Mangaluru. The beauty of the house depends upon its garden and surroundings. Mrs Lilly Pinto s creative container garden at Karangalpady/Mangaluru is an awesome site for the garden lovers. Beautiful landscape. Our heartfelt condolences to Urban, Margaret, Neeta and Stany and all the relatives and friends. May the Lord grant him eternal rest - Victor, Eveline, Vidya, Gavin, Fiona, Laura and Vinod. Please accept our deepest condolences on the same demise of our dear Bappu. May his soul rest in peace. Wishing all the members past present, especially the living legends of this great club, huge Congratulations and to the upcoming the centenary celebrations all the success. Great to read. Thank you Dr Eugine Sir. These Clubs have played a very very important role I m the empowerment of the community by facilitating migration of a large number of youths from.our Parish and neighborhood. Till 1990 s they were the main pull factor and provided the initial security. The vision of the founding members and also the successive leaders is highly commendable. You are also one of the very prominent members of the club who rose to greater heights. All the best to the current leadership and members. Most relevant when relating to history of your native; how To purchase a copy of the book? 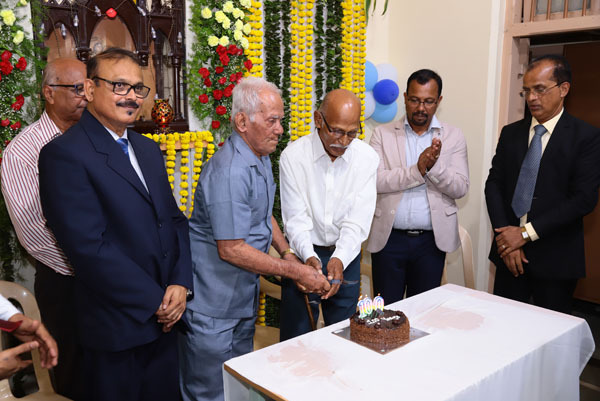 God bless late Belle Robert Alwa..and his caring friendship..
Congratulations all members and office bearers of Original St Lawrence Club Mumbai on Centenary Celebrations and am a proud member of Belle resided few months in 1963 and wish the Club glorious years serving its members. Congratulations Wilfy. We are proud of your achievements. Your simplicity and friendly nature is noteworthy.We will pray for your continued success in your future endeavor. May God bless you. Very interesting and inspiring journey of Wilfred Menezes, wishing you all the success in your future ventures. We are very impressed to read the article proud of your achievements. Very inspiring Story, congratulation dear Wilfred for your achievements, your simplicity and ever smiling nature always a real boost for us, may God bless you always. Wilfred Menezes name means to many of us, is a man just born with mission, vision, aspirations & accomplishment. For us he is more than a friend, whom we always see him with a positive frame mind throughout, with lots of energy, enthusiasm,, joy, an excellent party fellow. Also by nature one can visualise his simplicity, humbleness, down to earth, easy going character, & a complete family oriented fellow, carrying with an extraordinary smile, which keeps even the environment happy. Me & Wilfy did MBA in the same University during 2000-2001 & I still remember Wilfy was not so regular to classes, but still he could able to secure better marks than many of us in the final exams, which just displays a person’s calibre & lesson to students that practical experiences counts more than any theoretical study, specially in Master Degrees exams. Later when i got into Banking, as a Corporate lender, & when I learnt that Wilfy was Into his own business, within no time, apart from, we being friends, i connected him as his Banker & developed Banking relationship, where i could guide/ help him to the best of my knowledge on Banking . Their are lots of golden moments we all shared with Wilfy & his family in Dubai as well as in Mangalore & one such memorable event is the evergreen “Vintage 1968” gathering which will stay into our minds for long time to many of us. My hearty congratulations to Wilfy for his amazing success story & I am happy that somewhere down the line even i was also a part of his lovely story. May God blesswith lots of happiness, good health, wealth & prosperity for him & his family & remain as joyful as he is by nature throughout his life. Dear Joy and family members, Please accept our heartfelt condolences on sad demise of your Dad. May his soul rest in peace Amen. Dear All, I Ganesh Pai, am taking pleasure and very lucky to have a friend like Wilfred. He was a Go Getter and always wanting to do something different but also fast. Therefore he was always on his toes and updating himself regularly. We both spent a very short time period of 3 years together but these years were quality time spent. We really bonded very well. A very important gesture of his which makes him stand apart from others was His Belief and Faith in the friends he has been associated with. I want to make it a point to say that when Wilfred decided to start his business, he first called me from Dubai and said Hi, Pai, I am embarking on a new Endeavor, a new business, for which I see and feel that You should join me and I offer you to come here and work with me together and I know you are one person whom I can depend upon. Yes Friends these words still echo and finally its destiny. But it s not just destiny for Wilfred, it was his hard working attitude, his determination and his Team building quality which has taken him up soaring High in his Career and Business. Never to forget the day I My Wife Archana spent with Wilfred and his Family in His House in Dubai, the warmth, the affectation given to us is Unforgettable and it was a honor to spend this quality time with Wilfred from his Busy Schedule. Wilfred, Your Achievements have made even my Family Proud and We wish that you continue to execute this God s Wish of Excellent Service to the Society, your Colleagues , your Employees , your Family and all your Friends through the path of your Growing Business. May God Bless You all and Bless Us All to be associated with you for Many More years to come. Dear Joy, Vikas and family members, Please accept our heartfelt condolences on sad demise of your Dad. May his soul rest in peace. Deighted to read your success story, Wilfyam! You are truly an amazing personality! You are a man with vision, a man on mission, truly an inspiration to many. May you grow and reach the stars! Congratulation on your remarkable achievements Wilfred ( Wilfy) .Having vision is the most important aspects in the life but with ups and down that you may have encounter along the path you travel to achieve it is awesome .,it couldn’t have been possible without your dedication and hard work ., very proud of your accomplishment and goodluck and wish you many years of great achievements. Success is not accident, it is hard work, perseverance, learning, studying, sacrifice and most all, love of what you are doing. Well done, one of the few proud and successful Bellians in the corporate world. Congratulation Wilfread!!!!!!! I know Wilfread from 90 s when he was working for first company in Dubai since I was in the construction field since than how he has put his full effort and hard work to come up to this stage is amazing. Hard work always paid off on time. Once again I wish you all the very best for the future keep rocking. As part of Omnitec Family would like share few words. You are a perfect boss, leader, mentor and you always believe in working by means of using free mind. You simply know when to lead our team and you never fail us by giving out your perfect performance as a boss. We are so proud of you. Wishing you even greater success in future with your profession and happiness in family life. feast. God Bless you all. I m part of omnitec family and Sir has been truly the captain of the ship and the most hardworking person in the company. No wonder he achieved all this from a humble beginning.He is a visionary Leader and he is very clear about his next 10 years and he has been constantly ticking all those do list to get there. I feel very privileged to closely associate with him in many projects and I have learned a ton for him. May God bless you with good health and I m sure you will do the rest to take Omnitec into further heights. By the way Belated hitting the Half century birthday bet you had a fab time as you had so many of your friends celebrating their bday along with you ..